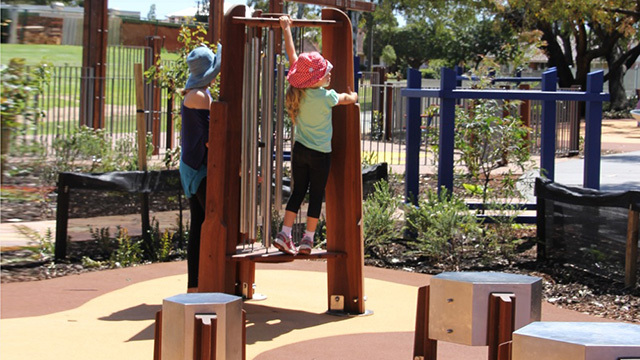 Any, accessible for wheel chairs. 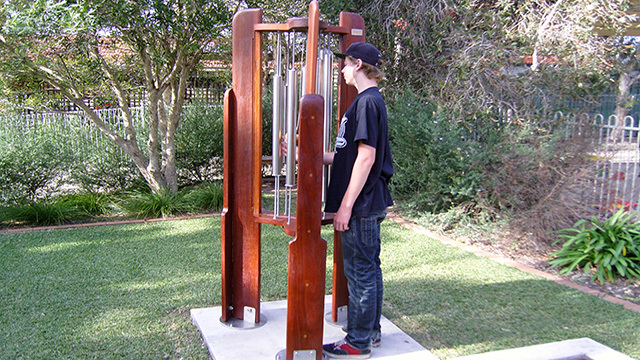 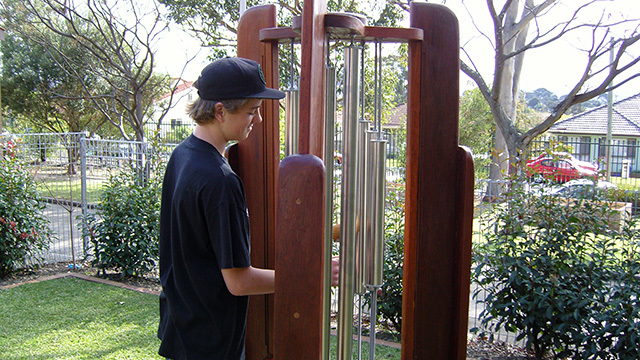 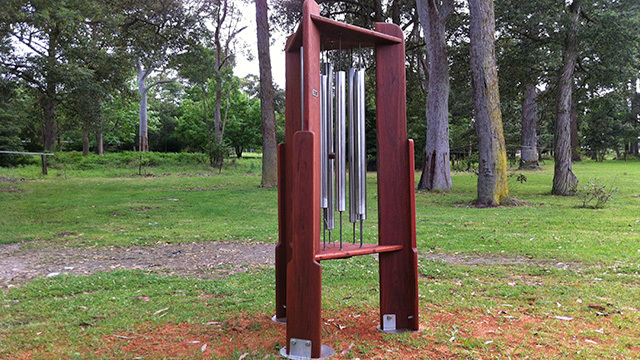 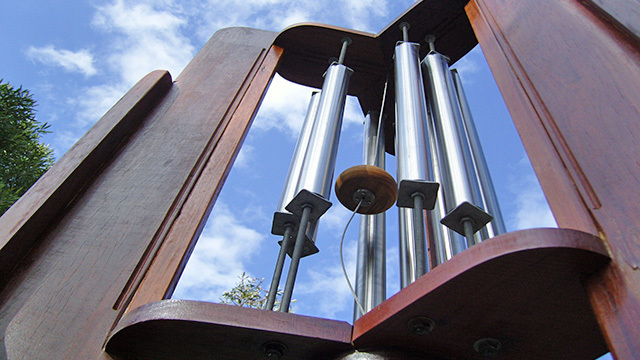 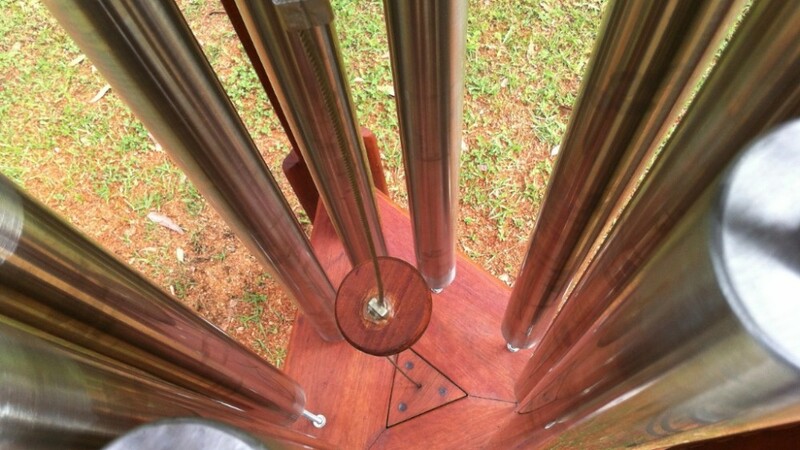 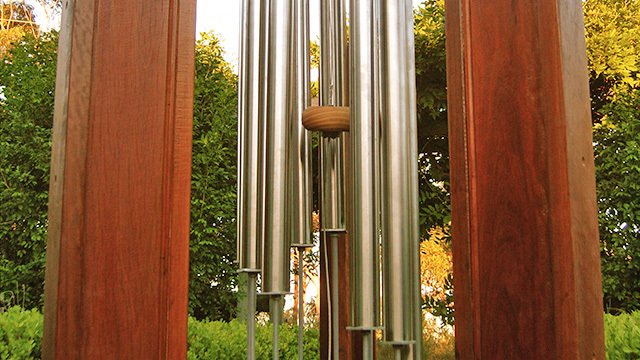 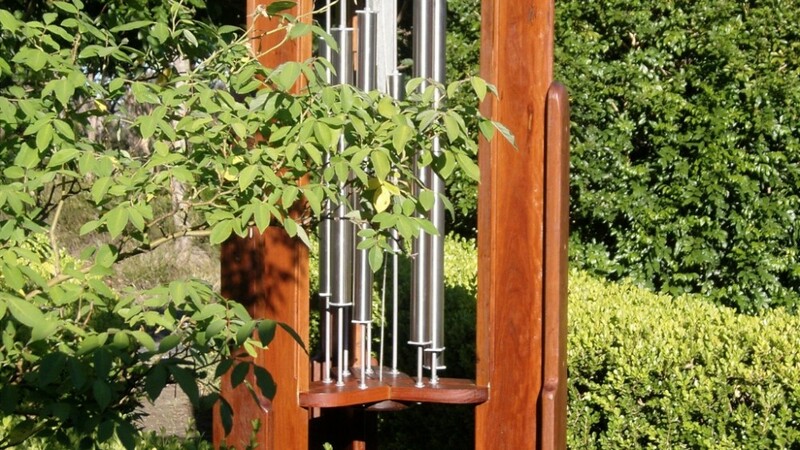 When moving the suspended clinger, centered in a circle of 9 chimes, ringing gong- like sounds are produced. 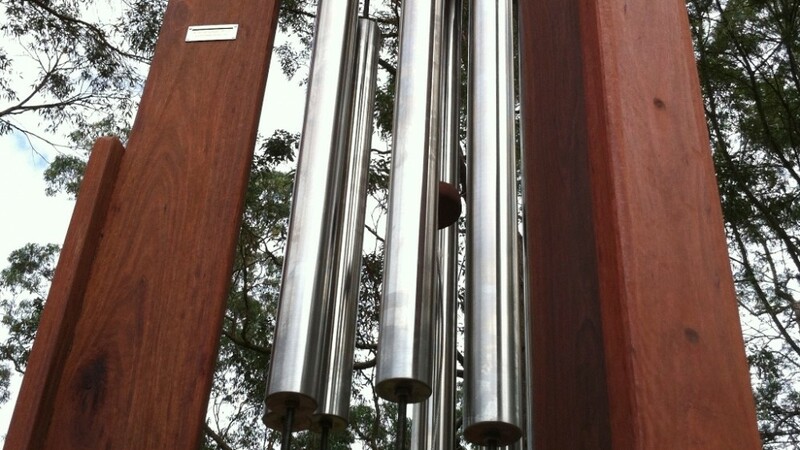 3 Stainless Steel feet, one for each leg are each to be bolted down on concrete.